ZenMarket - Japan Shopping & Proxy Service - The best way to buy from Japan! - We charge only ¥300 ($3) per item. - Shipping insurance is free! -	We charge only ¥300 ($3) per item. -	Shipping insurance is free! -	We will buy everything for you! -	Easy sign up. No documents needed. -	We'll help you find things you want. Yamaha, Roland, Akai, Korg, Komaki etc. Add item URLs to your Cart from any online Japanese shop and place your order. ZenMarket will confirm item prices and their availability. Once prices are confirmed you can pay for your items. ZenMarket will order your items from the shop you selected. Then we will wait for your items to be delivered to our warehouse. Once items arrive at the warehouse, specify the shipping method and your address. Once the package has been weighed, you can pay for international shipping. Wait 1-2 weeks for the package to get delivered to your address. Add some funds to your ZenMarket account to be able to place a bid. Place a bid on an auction item you like. If you have won an auction, we will buy your item from the seller. Wait for the item to arrive at our warehouse. This usually takes several days but sometimes the delivery takes a week or more because many are individual sellers. We charge only 300 JPY (3$) per purchased item as a service fee. This is our flat rate for all items. Bid real-time on Yahoo!Auctions, the most popular auction website in Japan. ZenMarket is your Japanese shopping cart where you can add items from any Japanese online shop or auction. Sometimes it is hard to find the right item. We will gladly help you with searching and will answer your questions. Package consolidation and shipping insurance are included in our service fee. If you buy from several websites, you can save a lot on international shipping with ZenMarket. After 110 years of research and experience, we cannot deny that Jikko has a lot of experience when it comes to making some of the highest quality knives in the world. Learn more about why these Japanese knives are so unique in this blog. Sanrio is the best place to get kawaii merchandise and it is no surprise that Sanrio Japan has exclusive items that can only be found here. With ZenMarket, you can buy all your favorite Sanrio items! Find out more in our tutorial. Great news, we have two limited edition Samurai Shodown sets that are ONLY available on the official SNK store including ZenPlus' official SNK international store! During Golden Week (April 27 - May 6th), our office will continue to remain open. However, please expect delays in orders and shipping. Some of the most frequently asked questions are “Where is my parcel? My parcel’s tracking hasn’t been updated in days.”, “What does dispatch from outward office of exchange mean?”, “What does retention mean?” Every day we get lots of questions regarding the whereabouts of your parcels, so we are here today to guide you through the tracking system and put all your worries and doubts at ease. We want to inform you that our main office building will be undergoing maintenance on February 16th (Saturday). For this reason, we will be unable to purchase items and respond to any of your specific requests. However, we will be able to pack, receive, and correspond to any questions that you may have. I’m absolutely satisfied with my item which came quickly and very carefully packaged ! Thank you very much once again!! Buying with ZenMarket you can save a lot on shipping costs, because we will consolidate your packages for free. In the modern globalized world similar goods are sold on American Ebay, Chinese Taobao and Japanese Yahoo. Sometimes it is difficult to decide which shopping platform is better. One reason to buy from Japan is because it's safe. The chance of getting cheated by a seller is very low compared to other international bidding and shopping environments. The second reason to choose Japan is quality. Japan is still a symbol of superior quality. This applies not only to products, but also to services. When buying goods from Japan, you can be sure that all Japanese sellers will do their job properly. You can also be sure that your products will be safely delivered as soon as possible to our warehouse. ZenMarket is also trying hard to meet these high Japanese quality standards. Products sold online in Japan are good quality even if they are imported from other countries. The third reason is the availability of all different goods in great abundance. Japan is a paradise for shopaholics. Japan is still the leader in many industries, and that's the reason why you can find a lot of electronic devices, cosmetics, clothes and other unique products that you cannot buy in your home country. In Japanese online shops or auctions you can find goods which are available only in Japan: Japanese anime figures, Japanese fishing goods, Japanese antiques, Japanese traditional goods, Japanese sweets and many other items unique to Japan. We are sure you will find something you like in Japanese online marketplaces and auctions. Just try searching. Buying from a Japanese online shop in most cases is not an easy task for those who don't live in Japan and don't speak Japanese. If you do not speak Japanese, it is a tricky task to go through a registration process on a common Japanese website, or to communicate with a seller. Secondly, some online marketplaces do not accept credit cards and deal only with bank transfers. In some cases credit cards issued outside Japan are also not accepted. Thirdly, most Japanese online marketplaces and Yahoo! auction sellers do not ship internationally. Our service was meant to solve these and many other problems you might encounter when buying things from Japan. We are happy to become your all in one Japanese shopping cart where you can add items from any online marketplaces and auctions in Japan. We will handle registrations on Japanese websites, pay with bank transfer if necessary, and ship internationally. We will also communicate to sellers if you have any questions. Most importantly, one of the main reasons to use ZenMarket is because it is cheaper. 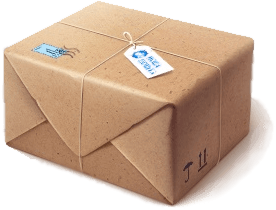 You will save a lot on international shipping when you use our default free package consolidation service. Also, upon request we will check your goods on arrival to our warehouse and will send you photos. Our service is cheaper than any other shopping services in Japan or even mail forwarding services. We charge only 300 yen per item no matter what you buy. In case you can't find something, we will help you to find it in Japanese online marketplaces. Feel free to contact us. Which online Marketplace is better? Using our service, you can buy from any Japanese online marketplace or auction. Just add the item URL link to your Cart and place the order. In case you are not familiar with Japanese online shopping, just click on the "Other shops" tab and you will see plenty of other online shops, organized into categories. Also for you convenience, we connected our system to the three biggest e-commerce platforms in Japan: Rakuten, Amazon.co.jp and Yahoo! Auctions. Now you can search for products and browse categories from these shops and auctions in English in one place! Rakuten is one of the leading shopping websites in Japan. It works as a selling platform, where all different sellers of various scales sell their goods. The variety of products on Rakuten is huge (more than 140 million products), but sometimes it might take some time to find exactly what you want. Japanese Amazon is more convenient to use, and in most cases it offers free shipping within Japan. We have also integrated Japanese Yahoo! Auctions into our system, so you can bid on Yahoo! Auctions directly from ZenMarket. Yahoo! Auctions are famous for a great variety of rare items you can find only in Japan. Let ZenMarket be your Japanese shopping cart, where you can put in any items from any marketplace and get them shipped to your address. You can add products from different online marketplaces to one cart on ZenMarket and we will do the package consolidation for free. In case you want to communicate with a seller, our staff will be happy to assist you. Are you new to ZenMarket? It appears that the e-mail address linked to your Facebook/Google+ account is not registered in our system. If you click "OK", a new account will be created. Would you like to proceed? Please note that having multiple ZenMarket accounts is not allowed for safety reasons.